How sensational is this? Drawn from the traditional national blouson style found on every populated continent, here, finally, is the yummiest version in scrumptious Moroccan susti! 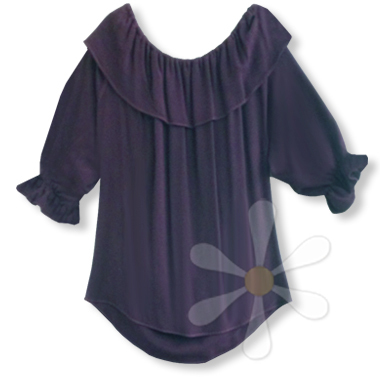 The comfortable elastic allows for on- or off-shoulder wear -- depending on your mood -- to accentuate its peasant-y goodness. Wear this and you'll dance your INNER GYPSY every day!